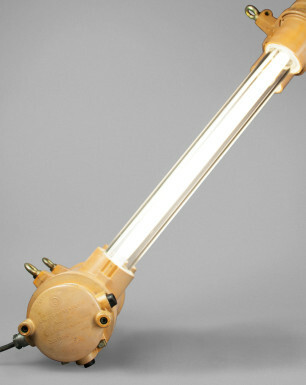 This highly expressive fixture is considered a very rare piece, since it was only produced in small quantities. 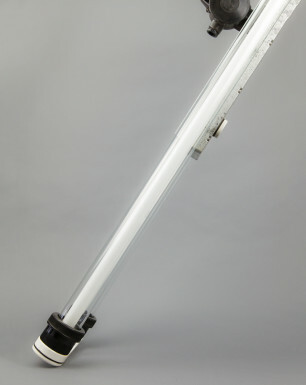 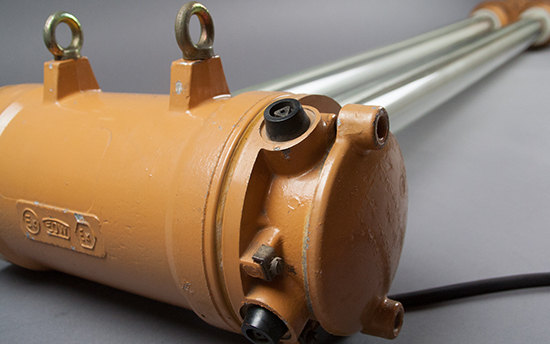 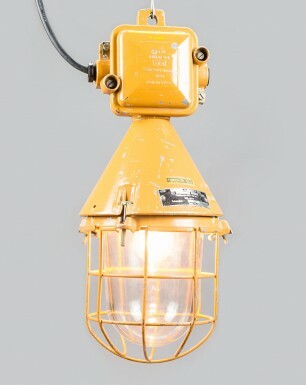 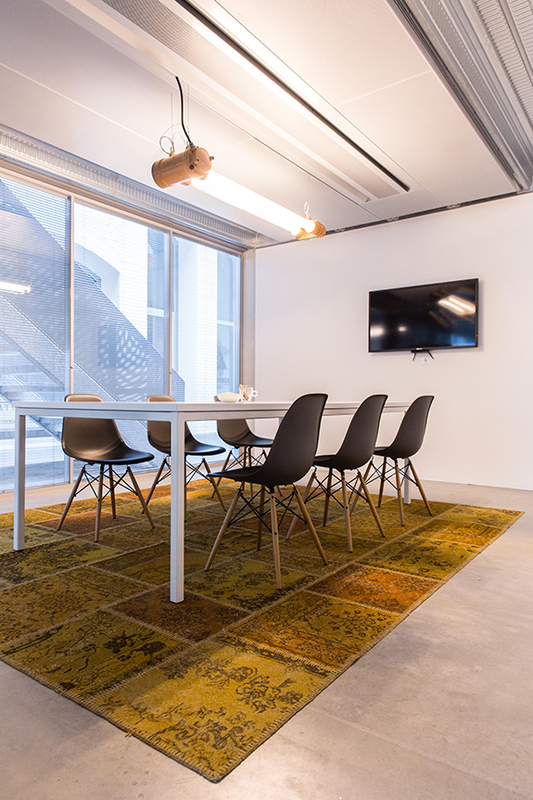 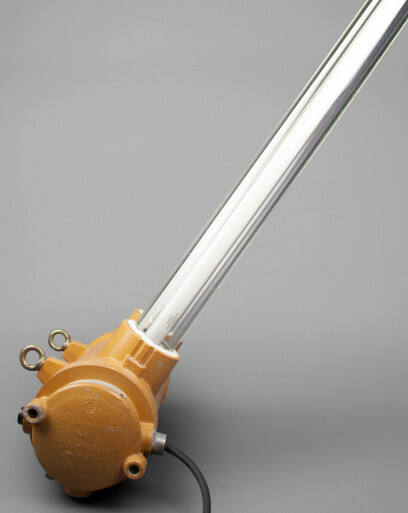 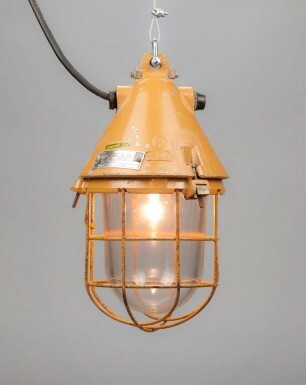 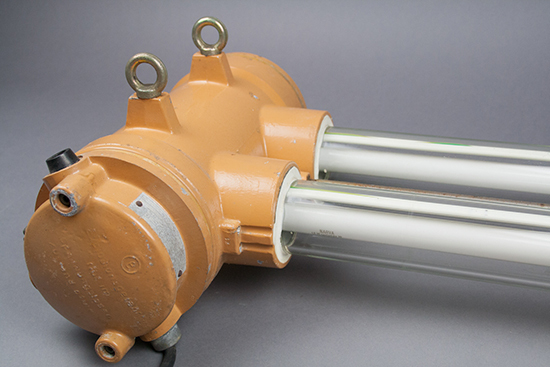 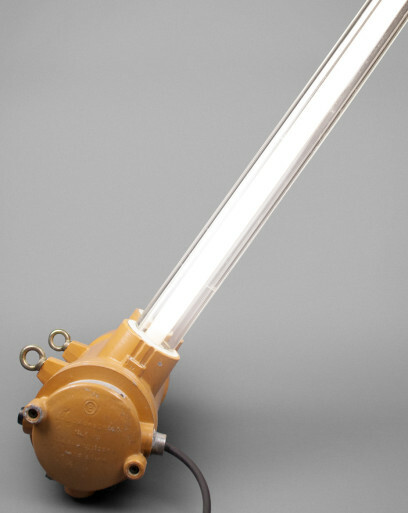 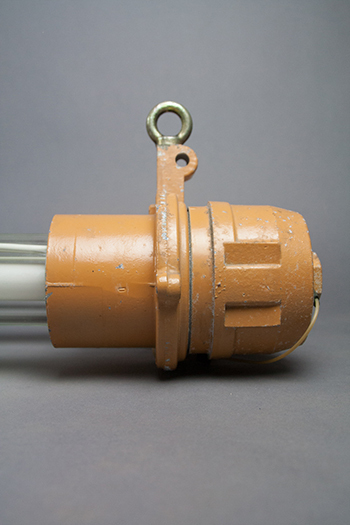 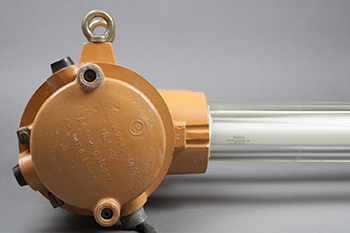 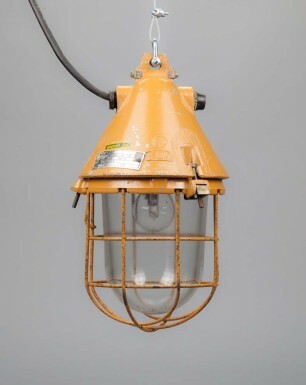 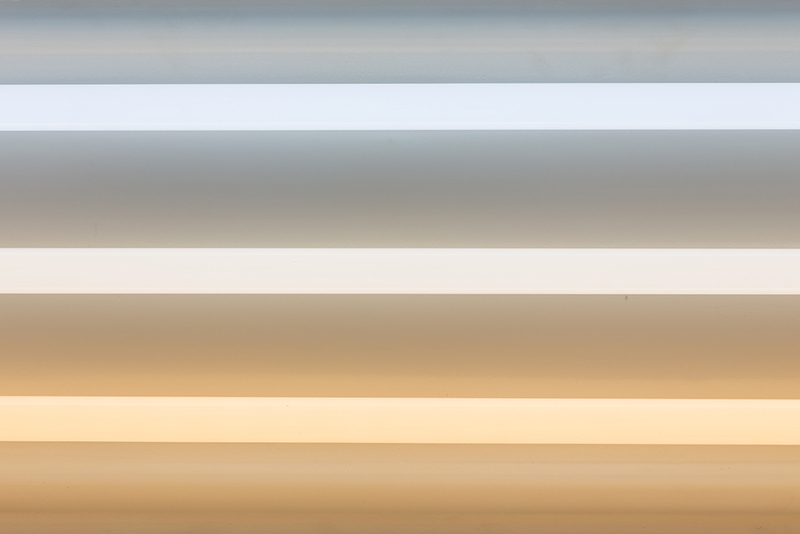 The explosion proof lamp comprises two parallel thick-glassed tubes connecting the solid cast-aluminium cylinders. 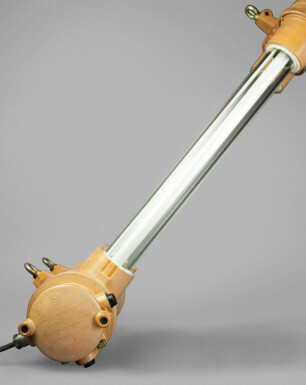 The original reflection plate and protection cage have been removed to give it its extraordinary ‘light-saber’ look. 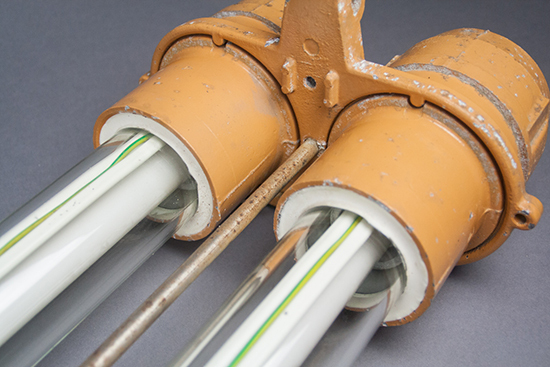 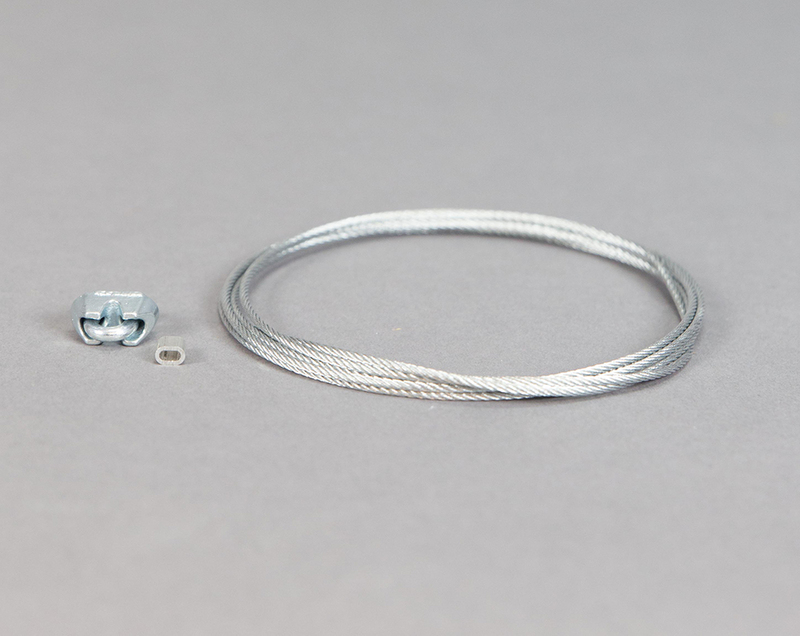 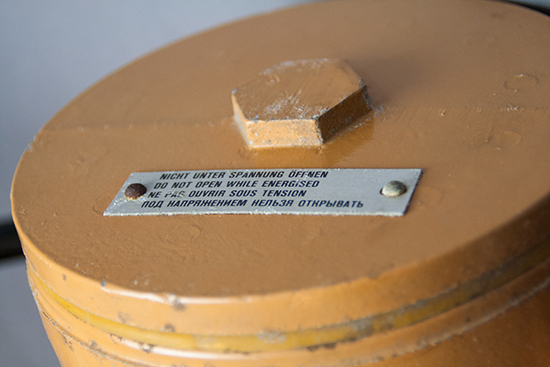 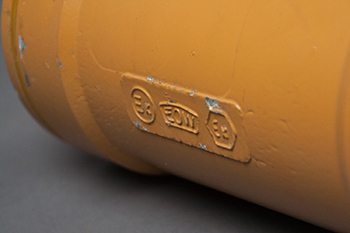 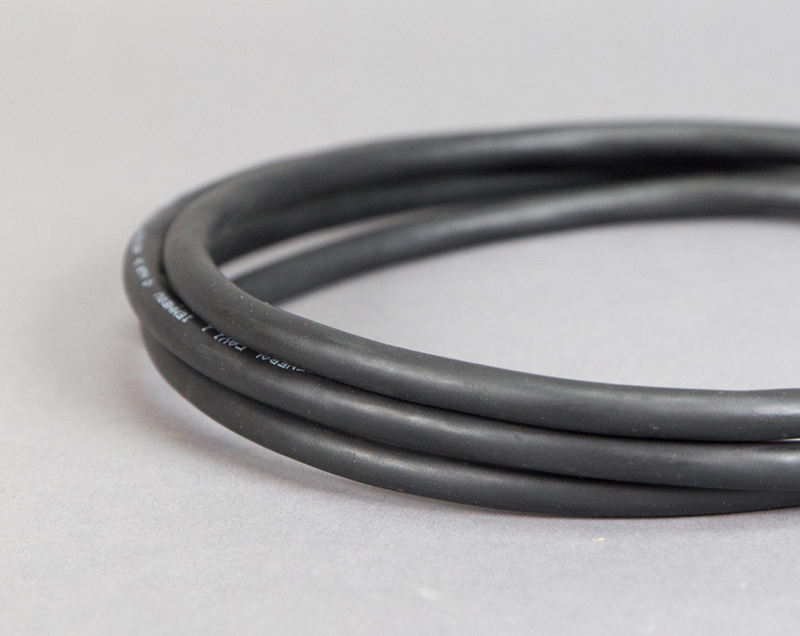 The fixture was salvaged from one of the largest laboratories in East Germany. 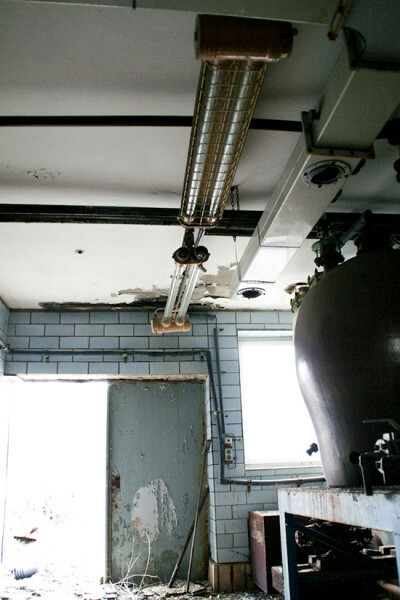 After WWII this lab was part of the soviet military administration, and became one of the DDR’s state-owned companies until the reunification in the early nineties. 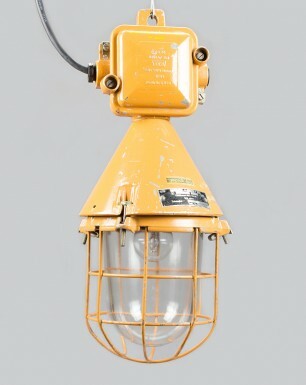 On the complex it illuminated a small site for experiments. 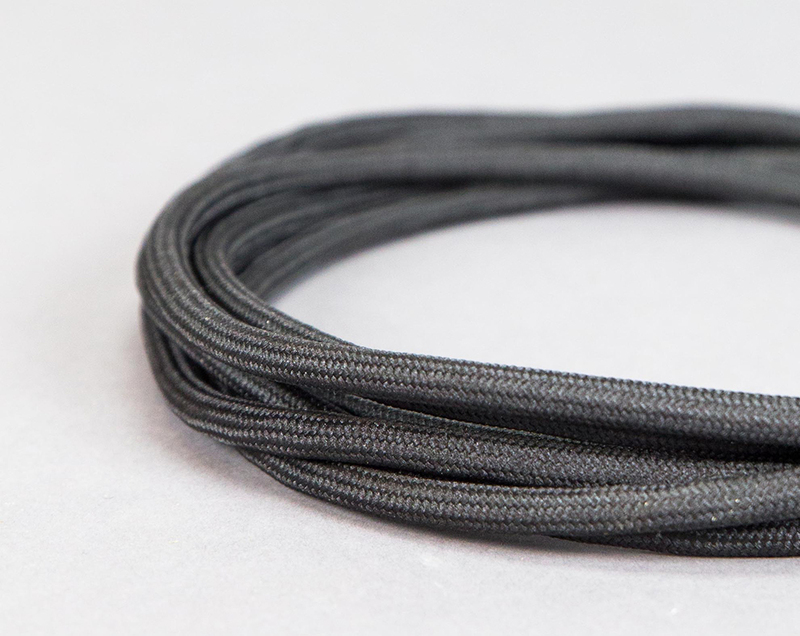 Also available in grey color.